Espinosa Premium Cigars is on a roll as of late, continuously improving, tweaking, and streamlining its portfolio to offer the most attractive and flavorful smoking experience to cigar enthusiasts. Indeed, 2015 looks to be their most successful year to date—coming of the heels of the massively popular Laranja from 2014, Espinosa has now brought the rest of its lineup up to speed with the new, higher standard. In a move that may have gone under the radar until now, Espinosa has updated the cigar that started it all—the Espinosa Habano. It was Espinosa’s first cigar and instantly became a fan-favorite smoke, winning multiple awards in 2012, including Cigar of the Year from Cigar Dojo. Not to be outdone by the current Espinosa lineup, the Habano is now streamlined and ready for the modern smoker’s humidor. Not only has the packaging and band been redesigned, but the blend has been tweaked to incorporate more premium tobaccos. Fans can expect a flavor true to the original, only amped up! The sizes have been consolidated to 3 vitolas, made to offer the absolute best flavors from the Habano—using smaller ring gauges to showcase the brilliance of the Ecuadorian Habano wrapper. 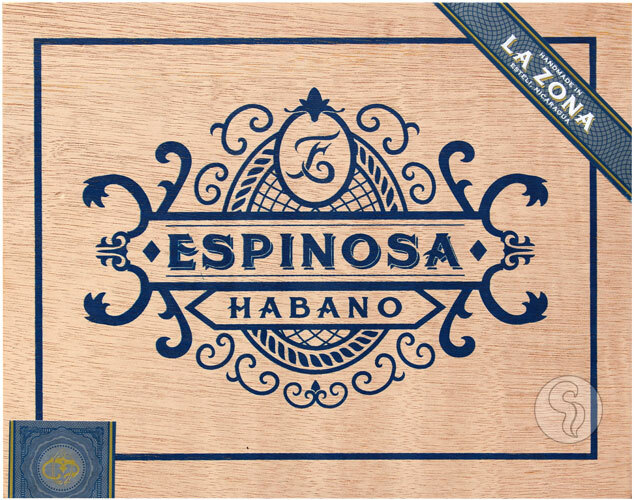 Expect a richer, smoother smoke from the new Espinosa Habano.